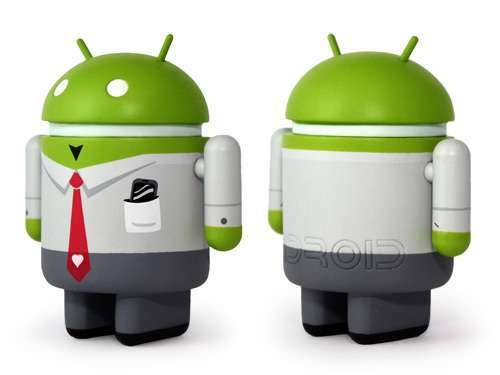 In order to know about the Android developer jobs, lets go through the main idea of Android, its development and the developers. Android software development is a process by which new applications are created for this particular Operating System. These applications are usually made in Java programming language using the Android Software Development Kit. According to a survey, till last year more than 1 million applications have been developed for Android with over 25 billion downloads. Thus the the basic idea behind an Android developer is to find someone who is capable of coping with competition to find the most innovative application for Android. Android powers millions of mobile devices in over 190 countries all around the globe. Known to be the largest installed base of any mobile platform and growing fast every other day, more million users power up their Android devices for the first time and start looking for apps, games, and other digital content. Android gives you a competitive world-class platform for creating apps and games for Android users, as well as an open market place for distributing to them instantly. Description: 2+ yeara experience of java and android in profession environment TCP/IP + UDP/IP socket programming. Interfacing gaming / USB HID device with android app. Drawing 2D graphics in Android Application. Description: The software Hub is in need of exceptionally talented Android Developer who wil be a key member of our team. Skills required: Ample Java experience to guide the development of the next generation of mobile technologies . A team driven participant who can conduct a full range of software engineering tasks including coding, testing, and documentation for an N-tier object-oriented medical practice management application. Experience with Objective-C, XCode, Cocoa, the iPhone SDK and Interface Builder. Description: The company is looking for experienced/intermediate android developers. The candidate must have vast knowledge of architecting, designing, developing and testing complex applications for a variety of Android devices. An excellent understanding of software design & patterns, intermediate debugging skills and concrete work ethic are essential. Skills required: Strong programming skills in JAVA, OOPs. Experience in Android graphics, animation and UI designing with different screen dimentions. Good knowledge of SDKs. Strong Design/Develope database skills. Should have a working experience of OOP, Eclipse IDE, Design patterns, XML, JSON and multimedia object Oriented Technique. Knowledge of iOS, Symbian, Flex, Bada etc. Description: Multi-national Company looking for Java developer who knows android and server Java. Google Cloud Hosting and Microsoft Azure hosting will be a plus. Need to have ability to built RestAPI in JSON and XML. Should know graphic designing. Very good understanding and speaking ability in English. Description: Looking for an Android Developer to join our ongoing quest to create the most exceptional, innovative and creative mobile solutions. An experienced Android developer with proven chops in building android apps and has a work experience with multi developer projects. You will be given a role to help lead and shape Android apps covering vast array of functionality, from start-ups to the fortune 100, working with experienced designers, project managers, engineers and QA professionals in a stimulating environment. Key Responsibilities: Build prototypes/Proof of Concepts. Design and Development in Core Java or C++ for Android Mobile Phones. Ability to work directly with management and practice Android Development.